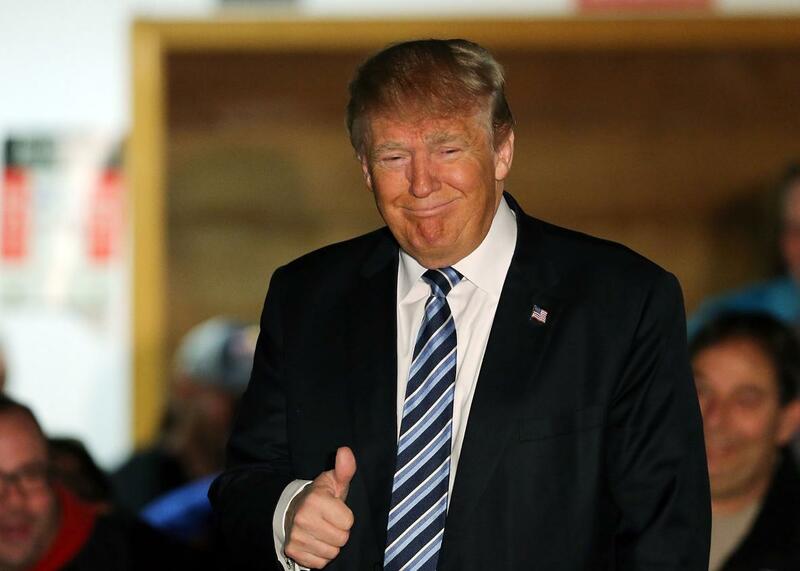 Republican New Hampshire primary polling and odds: Will Donald Trump lose? Donald Trump speaks to a small crowd in Salem, New Hampshire, on Feb. 8, 2016, a day before voters go to the polls. Was Donald Trump’s failure to win the Iowa caucus a sign his polling performance was nothing more than a media-fueled fantasy? Can Marco Rubio rebound from Saturday’s embarrassing debate performance to remain on his narrow path to the Republican nomination? Can Jeb Bush, John Kasich, or Chris Christie live to fight another day? Can Ted Cruz find the momentum in New Hampshire that he somehow missed out on in Iowa? We’ll soon find out. RealClearPolitics rolling average: 30.7 percent—up 4.2 points since the start of the year, but down 2.5 points since the day of the Iowa caucus. FiveThirtyEight chances of victory based on the polling: 75 percent. RealClearPolitics rolling average: 14.4 percent—up 1.6 points since the start the year, and up 4.9 points since the day of the Iowa caucus. FiveThirtyEight chances of victory based on the polling: 11 percent. RealClearPolitics rolling average: 13.0 percent—up 4.0 points since the start of the year, and up 1.5 points since the day of the Iowa caucus. FiveThirtyEight chances of victory based on the polling: 6 percent. RealClearPolitics rolling average: 12.4 percent—up 0.9 points since the start the year, and up 0.9 points since the day of the Iowa caucus. FiveThirtyEight chances of victory based on the polling: 5 percent. RealClearPolitics rolling average: 11.3 percent—up 3.5 points since the start of the year, and up 1.0 point since the day of the Iowa caucus. FiveThirtyEight chances of victory based on the polling: 3 percent. RealClearPolitics rolling average: 5.4 percent—down 6.1 points since the start of the year, and down 1.1 points since the day of the Iowa caucus. FiveThirtyEight chances of victory based on the polling: <1 percent. No other candidate has averaged higher than 5 percent support over the past month, making it hard to imagine a Granite State surprise from the likes of Carly Fiorina or Ben Carson. Is Trump a Loser or Did He Simply Lose Iowa? The Donald was branded a loser after coming in second in Iowa because of his pre-caucus predictions of complete and total victory. But despite how badly his rivals would like to convince themselves that the results prove Trump was never the threat the media made him out to be, his performance in Iowa should have them preparing for the worst in New Hampshire. Yes, his final share of the Iowa vote was about 4 points below his polling average, but he still won roughly a quarter of the vote in a state that was never as friendly to his candidacy as he seemed to think, and in the process garnered more total votes than either of the two previous GOP caucus-winners. Even if it turns out that Trump’s polling numbers really are inflated across the board, he has a double-digit cushion to work with in New Hampshire and remains the overwhelming favorite to post a victory on Tuesday night. As I’ve written before, a Granite State victory would fundamentally alter the race. In one fell swoop, Trump would have bested the best the Republican establishment has to offer in a state where they have no excuses given primary voters there are considerably more moderate and establishment-minded than Iowa’s GOP caucusgoers. Trump would still have his work cut out for him to win future primaries, but his rivals would wake up on Wednesday morning to discover that their Trump nightmare remains a reality. And if Trump comes up short? It depends on how he loses. If his final primary numbers are only a fraction of his support in state surveys, he’d be fairly dismissed by his rivals and the media as a pre-voting novelty. But if, as in Iowa, he underperforms his polling only slightly while being edged out by a surging rival, he’d remain a force heading into South Carolina, where he’ll get his rematch with Cruz in a contest with a friendlier voting process than Iowa’s caucus and a less establishment-minded electorate than in New Hampshire’s primary. Rubio, meanwhile, is doing his best to recover from his debate hangover. A strong performance on Tuesday will help the GOP establishment forget that its would-be savior was stuck on repeat this past weekend. A surprise victory (possible, although not probable) or a clear second place would cement Marco’s status as the establishment’s best hope to defeat Trump and Cruz, and would start to clear the insider lane ahead of Super Tuesday. If Rubio finishes in third or fourth, though, he’d open the door for his rivals to fight on, while also prompting plenty of hand-wringing from the chattering class about how his malfunction on the debate stage was illustrative of a larger—and perhaps insurmountable—problem. With all the talk of how Trump left Iowa a loser and Rubio left a winner, it’s easy to forget that Cruz actually won the first nominating contest of the year. He’s a long shot to make it 2-for-2 on Tuesday, but he could steal the runner-up spotlight by topping Rubio and the rest of the establishment field in the final standings. The Texan benefits the longer the establishment heat remains contested, and it’s hard to imagine that it will be settled in favor of a candidate who can’t finish better than third place. Cruz, then, has little to lose on Tuesday night and plenty to gain. Bizarrely enough, beating expectations in New Hampshire could produce the bounce he failed to receive from actually beating the competition in Iowa.